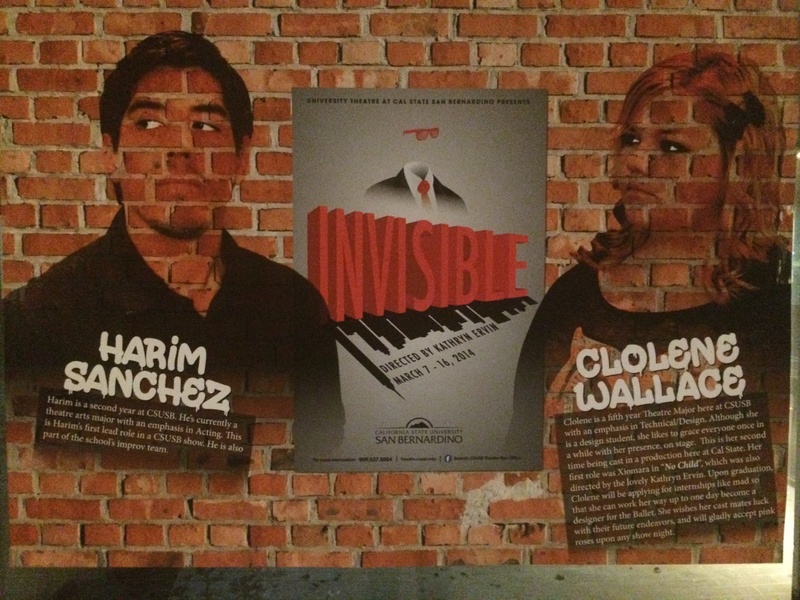 By Chrisoula Baroudos |Staff Writer| University Theater at CSUSB presents Invisible, coming out March 7-16 and held at the Ronald E. Barnes Theater. This play is based on the two novels, “The Invisible Man” by H.G. Wells and “Invisible Man” by Ralph Ellison. This whole play is a student assemble piece, even the set design was designed students that attend the college. Kevin Ezeh, a CSUSB alumni wrote this play, and collaborated with the director Kathryn Ervin about his ideas. Ervin, the director, expressed her views about what this production is about and what the audience can expect. “This production began as an exploration of two novels whose central character was ‘an … [Read more...] about Can you see it now?